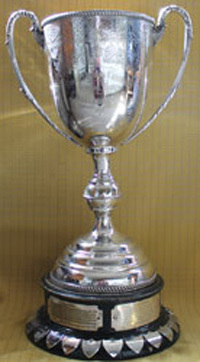 About 1975 DCSFA were given the Consett Iron Company's Schoolboys Challenge Cup by Derwent Valley SFA for an U14 Inter-association competition but further discussion on the use of the cup was necessary. It was eventually agreed that the CIC should be a County U14 competition for schools and that the winners should represent DCSFA in the final of the Northumberland and Durham Cup. This no longer happens. Players shall not have completed their 14th year on or before the 1st September that season. All games shall be of two periods, each of 35 minutes duration. Could the winning team please inform the Competition Secretary, BY EMAIL ONLY, with the result of the match as soon as possible after the completion of the game.